Let’s be honest, Avocados are definitely the Karen Walker of the vegetable kingdom. In other words, avos are seriously on trend and especially with the young folk (thats me!). A vegetable previously booed for its slimy texture and not-so-existent taste is now seen everywhere (much like a KW necklace): mostly smashed on toast but also an accompaniment to eggs, tacos, salads and even whipped into smoothies and popular desserts like mousse, cookies and “cheesecake”. 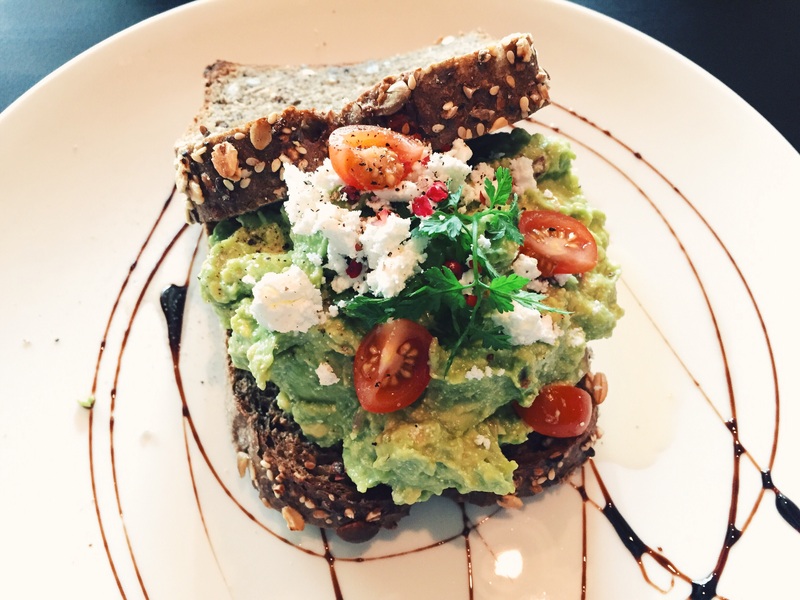 In Christchurch, several eateries sport avocado on their food menu but when it comes to getting your dollars worth of avocado goodness (Only $12.50 – WTH? ), La Di Da Espresso/Wine Bar is the place to go. I believe several avocados were harmed in the making of this dish.